Can Bell Residents Solve Their Own Problems? 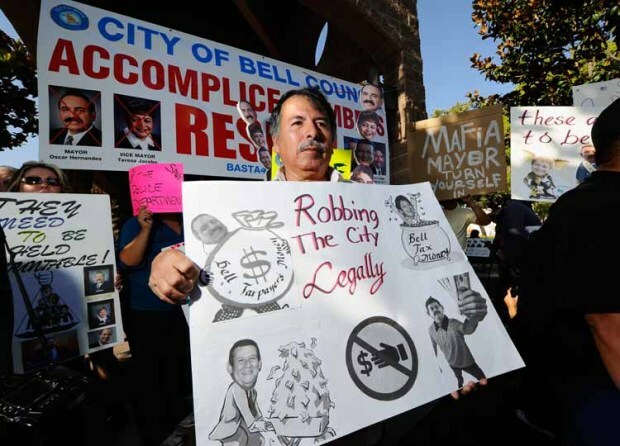 You may not have heard much about Bell since the small city in Los Angeles County became a national story for corruption, including scandalously large salaries that city officials paid themselves. Bell’s slip back into anonymity is why the following announcement stood out in my email box. On Saturday, Jan. 21, at the Bell Community Center, Bell residents met so they can participate directly in formulating the new city budget. The announcement noted that residents will participate in small group discussions (offered in Spanish and English) on the budget and budget items, and will be voting on their budget priorities. The votes, which are recorded with stickers (should be fun to watch), have real value since it's the city manager who has convened the process. Pepperdine's Davenport Institute, which works with local governments and citizens on public engagement, and the Institute for Local Government are leading the process. The goal is to make sure citizens are part of the process of budget creation, particularly at a time when resources are scarce. These kinds of sophisticated citizen engagement efforts are being used more often in California and around the country. But it's news when Bell is using such a process. It’s one small sign that the city may be on its way to a more democratic future.